Breast cancer is the most common type of cancer found in women in the United States. Women have a 1 in 8 chance of developing it in their lifetime! 3) Know what you are putting on your skin! This week I will focus on these 6 topics and break them down for you. As I wrote about in ‘Breast Health Tip– Get enough Sleep!‘ it is very important for women to go to bed early and get proper rest. Scientists have discovered that when it gets dark the pineal gland in our brain produces a hormone called melatonin. Melatonin helps regulate the body’s circadian rhythms which helps us fall asleep. 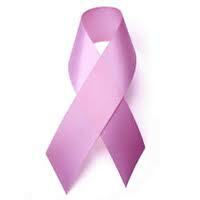 Melatonin is extremely powerful against and fighting breast cancer. Scientists have also found that less than six hours of sleep a night raises breast cancer risk by 60 %! Proper sleep also allows us to feel refreshed and have energy to do some of my other breast cancer prevention suggestions like eat well and exercise. Organic produce might be a bit more expensive but it’s worth it in the long run! Organic food is herbicide and pesticide free. Did you know that on average, a person eats a gallon of these poisons from their daily fruits and vegetables in a year?! This is one of the main reason it’s so important to buy organic produce. 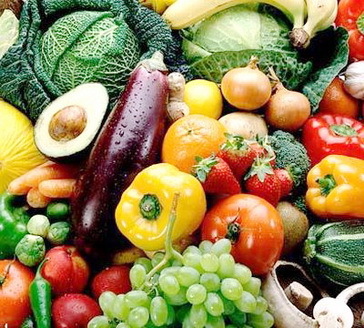 For breast cancer prevention and overall health I suggest to eat at least seven servings of organic fresh fruit and vegetables every single day. The superstars for breast cancer protection include all cruciferous vegetables (broccoli, cabbage, brussels sprouts, cauliflower); dark leafy greens (collards, kale, spinach) ; carrots and tomatoes. The best fruits include citrus, berries and cherries. Eat away! Organic Produce is also better for our environment. It uses less energy to grow and helps replenish our soil. All of these tips are quite easy to incorporate into your daily lives. We should show our bodies love and take the time to do what’s best for it. Stay tuned to learn about your skin and the importance of water!